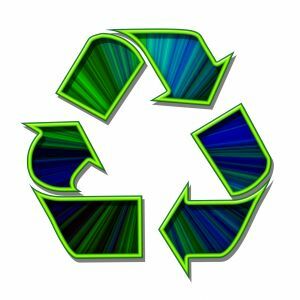 How fast does recycled materials turnaround? The soda can you toss out into the recycling bin today could make its way back onto a grocery shelf within 60 days. That’s pretty fast. Right now, the US has a 34% recycling rate. If we could collectively raise that rate to 75% then it would be as if we removing 50 million cars from the road. That’s how much CO2 would be saved. The CIA has a very robust recycling program. They burn all their classified documents and use that energy to heat the water in the headquarters. That’s very smart. Recycling paper has been around a long time. In fact, there is a record from 1031 that shows Japanese shops sold re-pulped paper. If we could recycle a single Sunday worth of New York Times newspapers, then we would save 75,000 trees. When it comes to recycling programs, there’s always room for improvement. For instance 90% of plastic bags in the US are not recycled. That means they can either end up in a landfill where they can take hundreds of years to decompose or become garbage in the oceans causing severe problems for marine life. Every hour, Americans throw away 2.5 million plastic bottles. Recycling 1 ton of those plastic bottles is the equivalent energy use of powering a two-person household for an entire year. It’s clear that recycling is very important for our future. It’s also something that doesn’t have to be complicated or take a lot of effort. Consider getting rid of your unwanted junk like old furniture, electronics or other household goods. Those can all be recycled if you hire the right company to begin with. That company would be Junk King Portland. Junk King has set up working partnerships with recycling center and charities throughout the area. Anytime they can make a drop off to those organizations they are helping Portland stay clean. Recycling your unwanted junk is easy when you turn the job over the Junk King Portland. This entry was posted in Portland junk recycling and tagged junk King, Junk removal, recycling on November 28, 2017 by Junk King. Last updated November 28, 2017 .